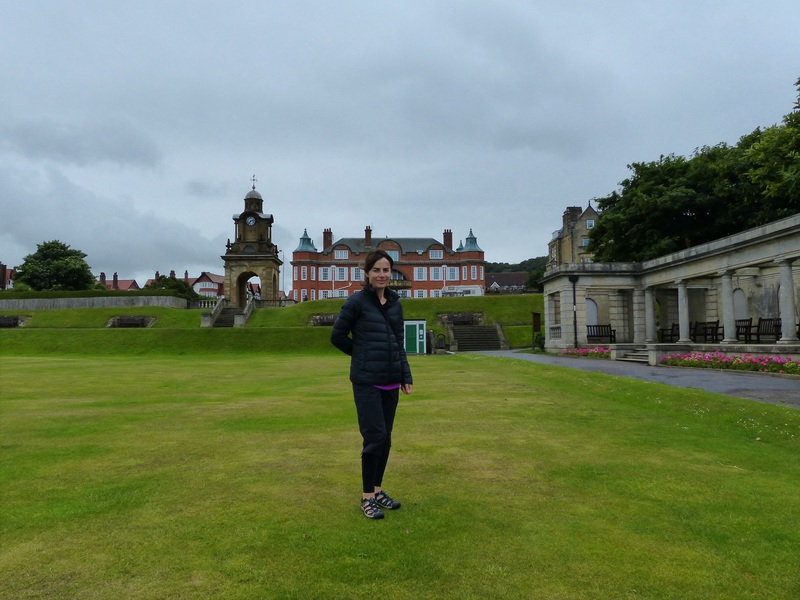 From Page to Screen – Run. Ride. Roam. It stayed with us, all along the drive! 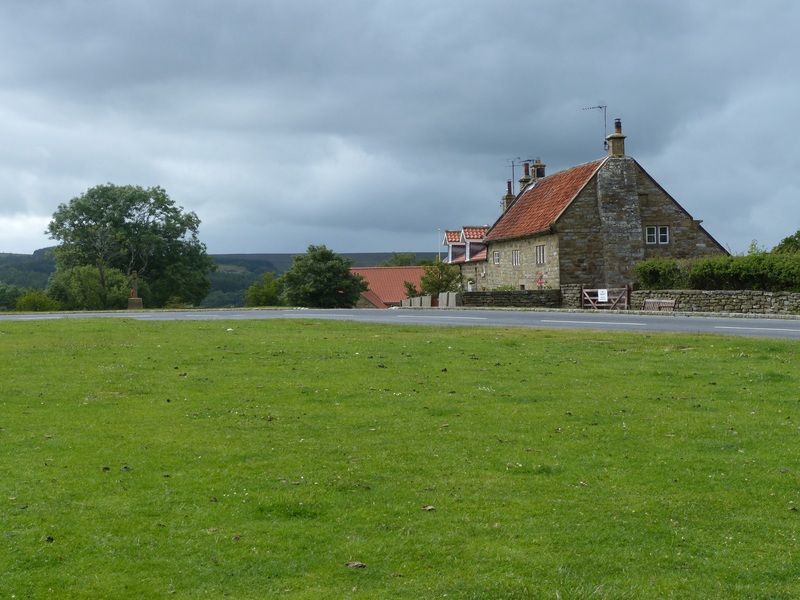 Time to see a bit of Yorkshire now, motor up some more hills and hopefully pass through some more little villages. 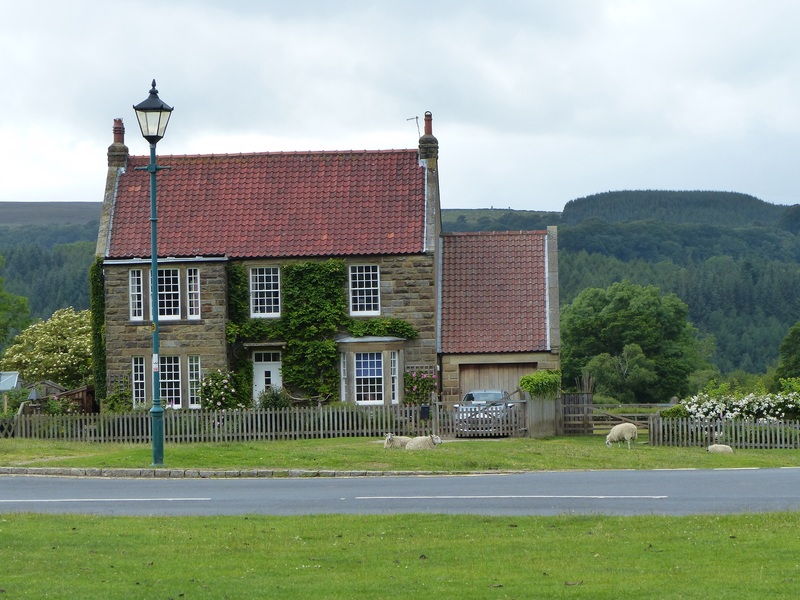 I’ve loved James Herriot’s books for many years and after growing up on the series All Creatures Great and Small, which was a weekly ‘must view’ in our house, the opportunity to find out a bit more about the man, was too good to miss. 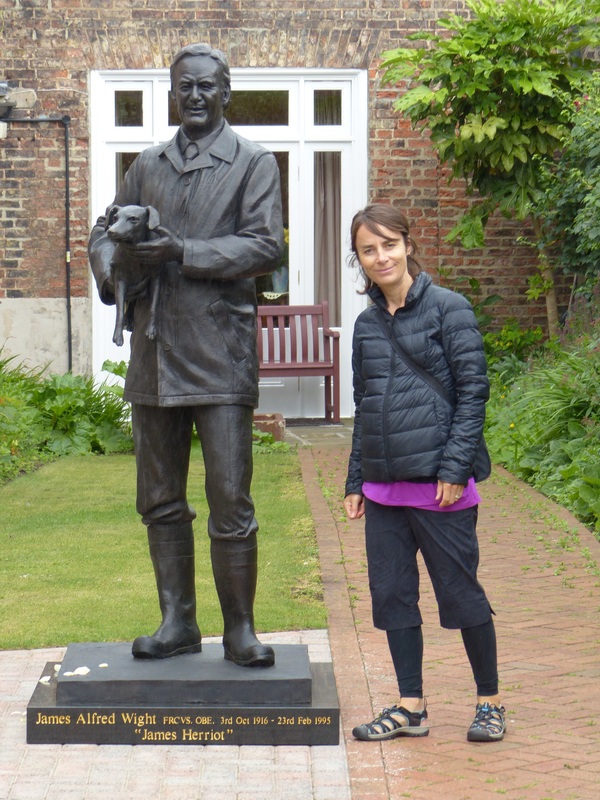 James Herriot was actually Alf Wight, a Scottish born, Yorkshire vet who wrote about his experiences as a country vet under the pen name James Herriot. 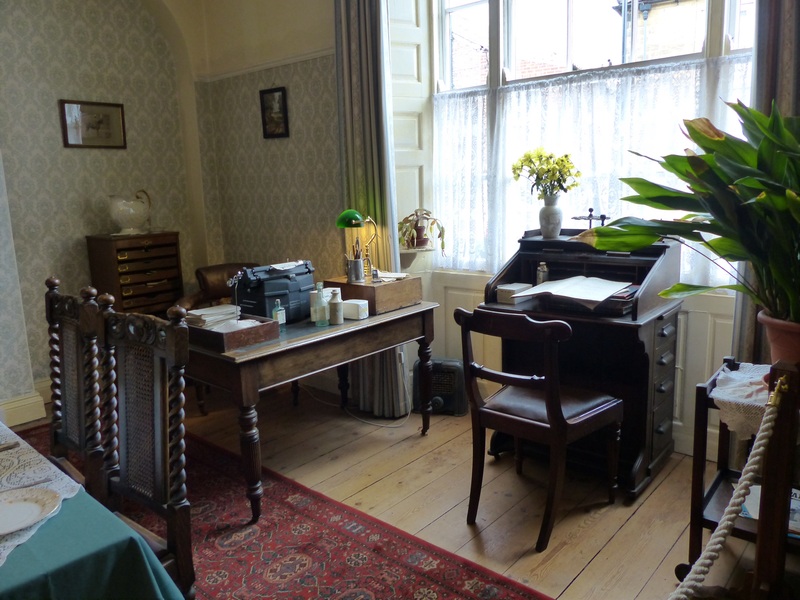 His practice and home, known as ‘Skeldale House’ in the books, was in the town of Thirsk and it’s now been turned into a museum about his life and work. 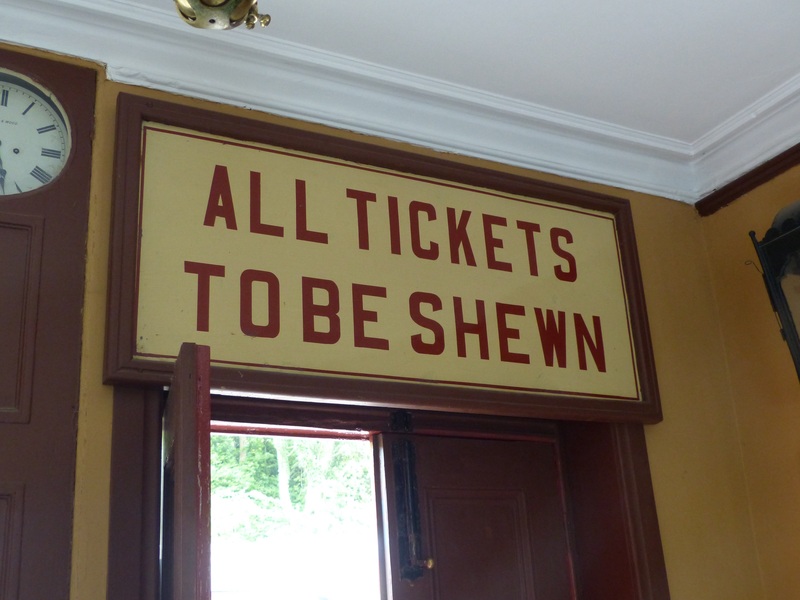 Right…off we go there! 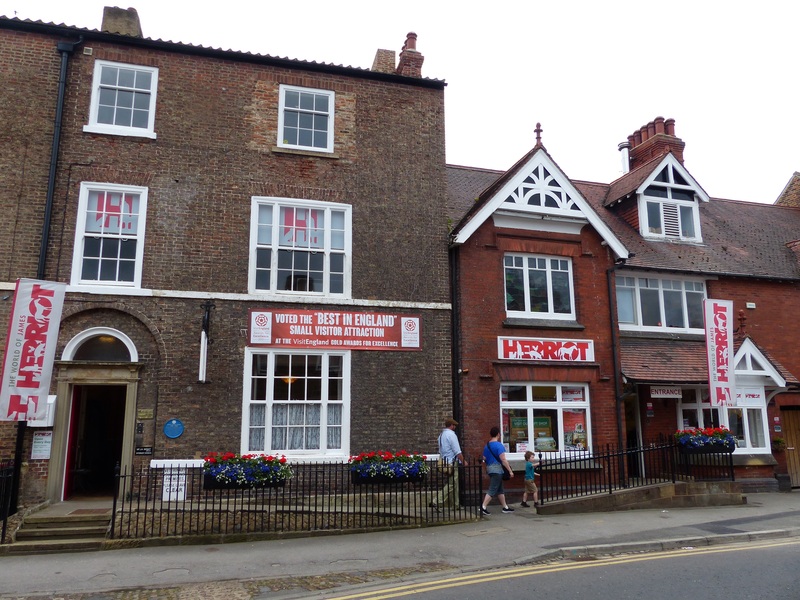 The town of Thirsk was delightful. Cobbled streets, quaint looking shops and a bustling market square. 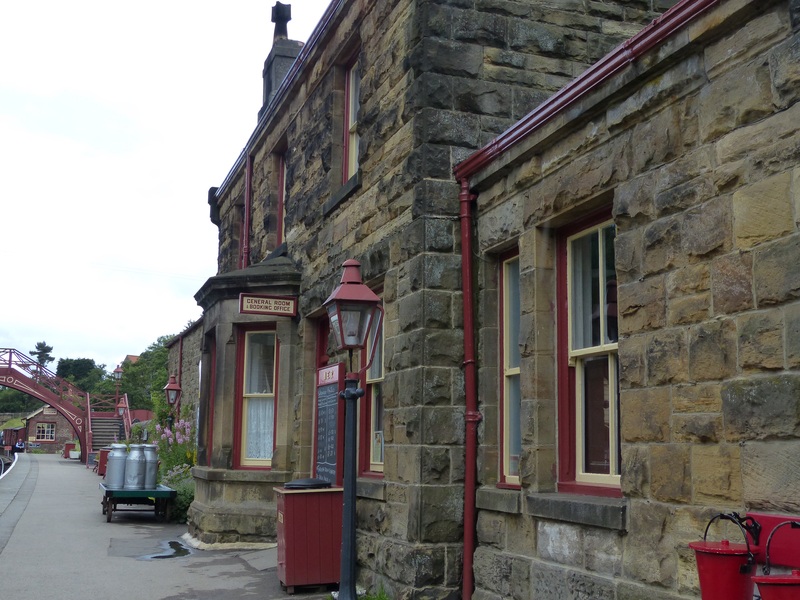 The visit to the museum was terrific, it was so well done and a real tribute to both James Herriot and the life and work of country vets. 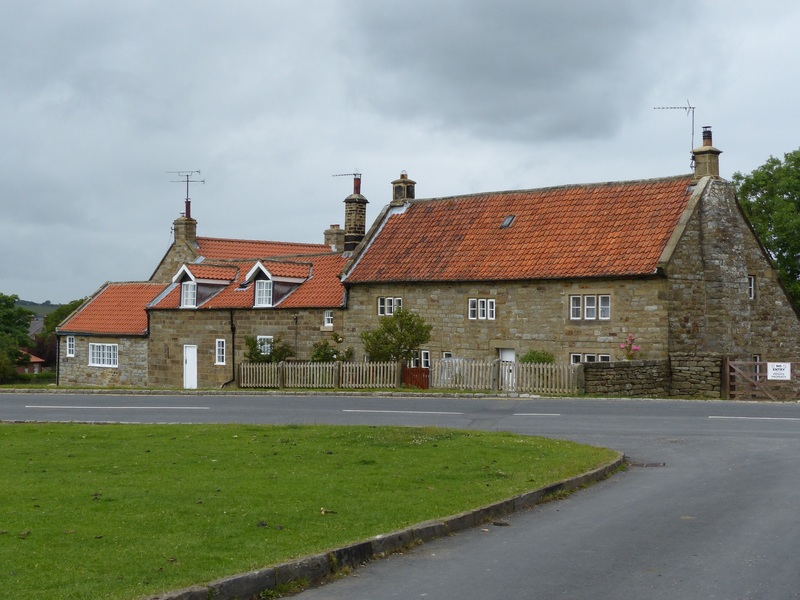 “Skeldale House” on the left, James Herriot’s home and vet’s practice, now the museum. The house is set up as it was when the Wights lived there, so we strolled through their dining room, which also doubled as a waiting room for the vet’s practice, the living room, where Alf would sit in front of the TV and tap out his stories on an old typewriter and then we went through to the rooms that were used for treating the animals. The dining room was only used on special occasions and it was usually the waiting room and reception. What struck me was how tiny the rooms were. 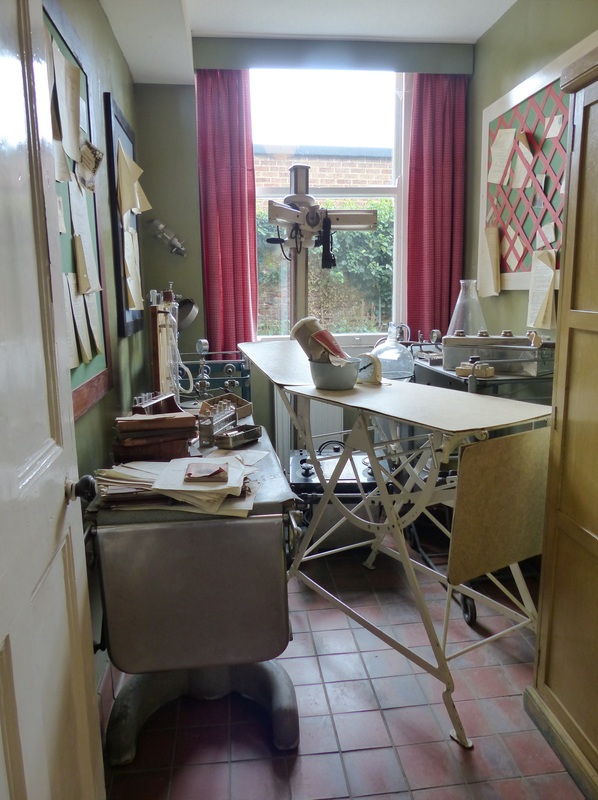 On the TV show of the books, the surgery is quite a big room, but in reality the room where Alf would treat the small animals, such as cats and dogs and domestic pets, was only about two metres across, and only big enough for an examining table and a trolley for instruments. This looked like such a tiny space to work in. We were able to read about his life in Scotland before becoming a vet in Yorkshire and then the publication of his stories. 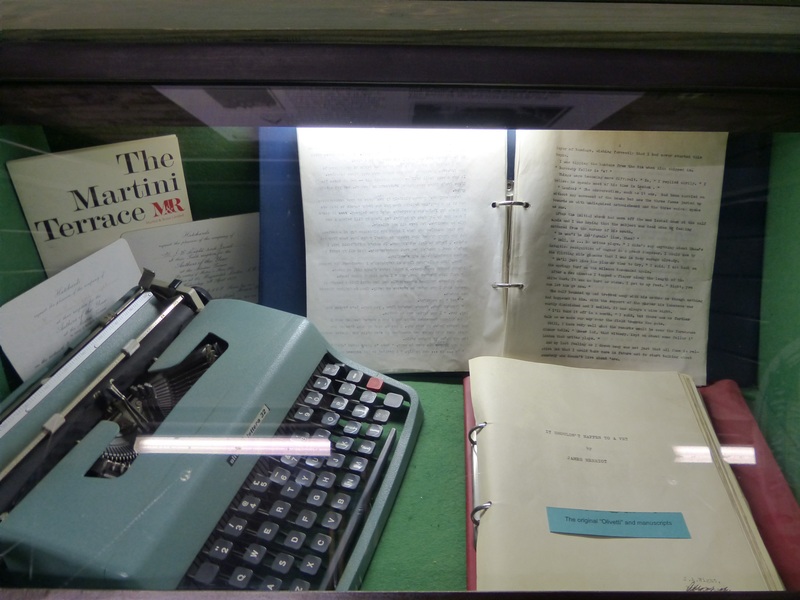 All the time he was writing his books, he was still practicing full time as a vet, so he would only write for about half an hour each evening, in front of the television. The living room where he would sit and type. The models were very lifelike. 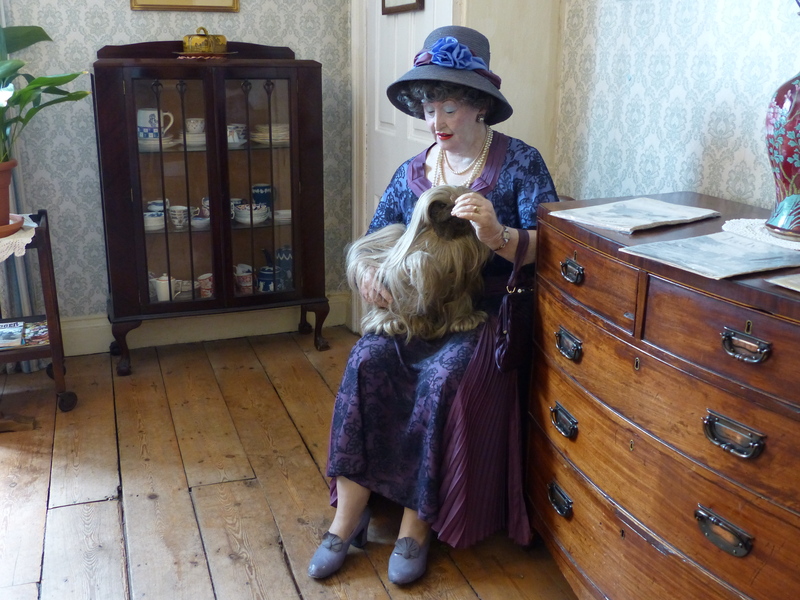 This one of Alf, gave me a fright as I walked around the corner into the room! 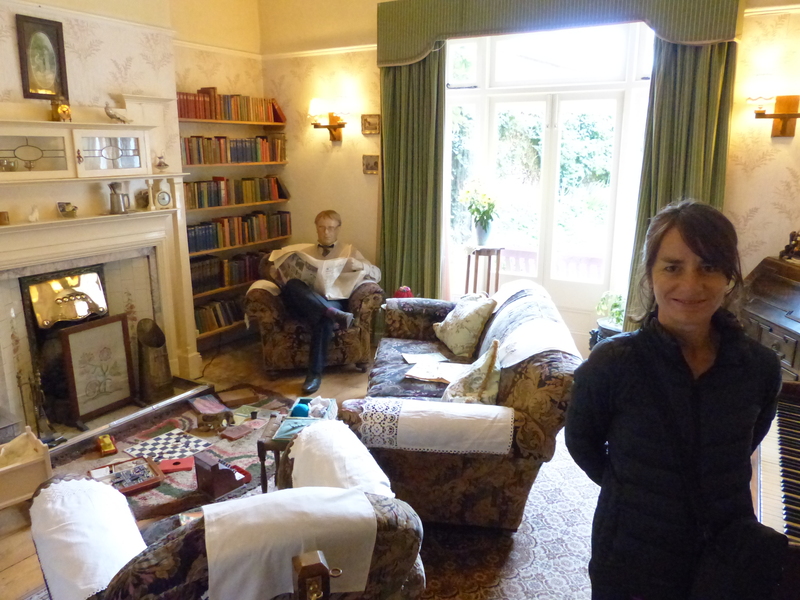 There were rooms set up with the sets from the TV series, so we could see how the house had been recreated on screen and then a large section upstairs all about veterinary practice. Some of the instruments on display and their use, virtually made my eyes water! Some of them looked like something from a middle-ages torture chamber, such as the huge saws and clamps and knives. Things have certainly changed over the years, but I still wouldn’t fancy doing that job, in the snow in a freezing cow barn, with bare arms disappearing inside a cow! Tough job, a very very tough job. It was a super interesting and really enjoyable visit and I’m so glad we discovered the museum was there. 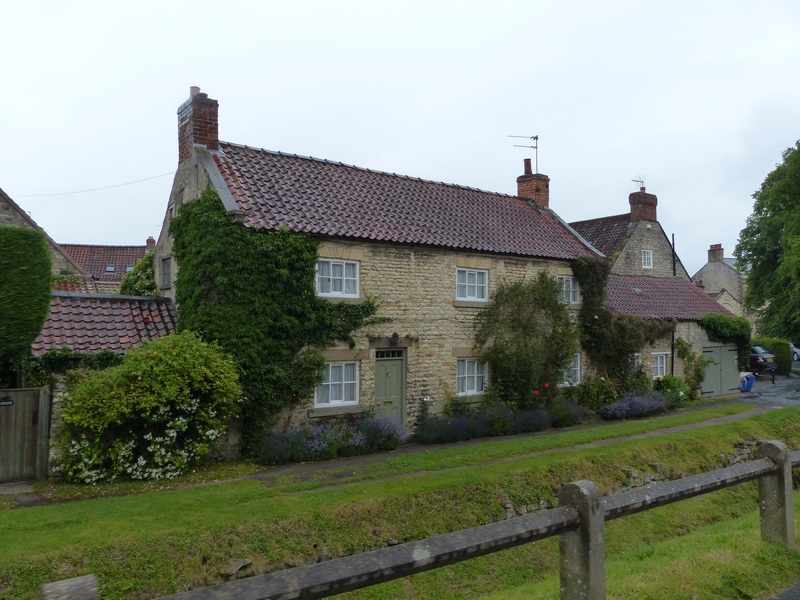 On from Thirsk, we drove through some beautiful Yorkshire countryside and gorgeous villages. 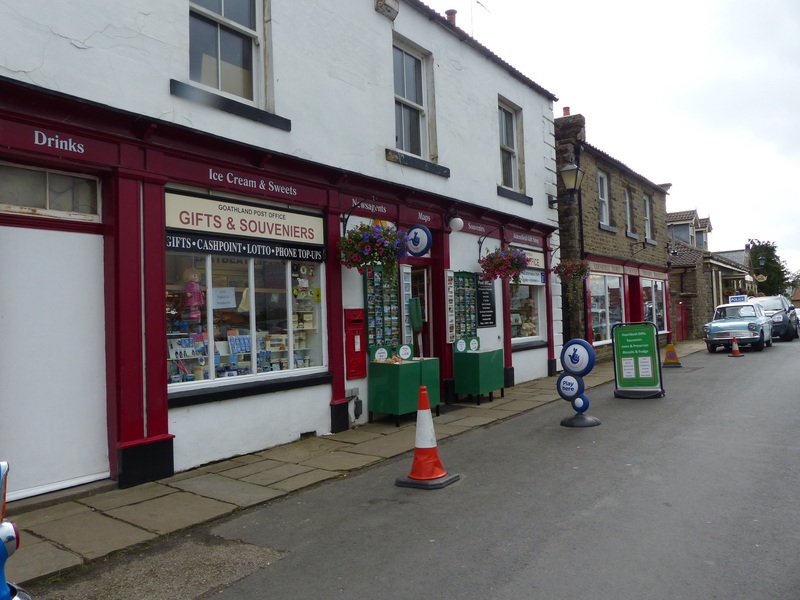 When we drove into the village of Helmsley, I got that familiar dreamy look on my face! 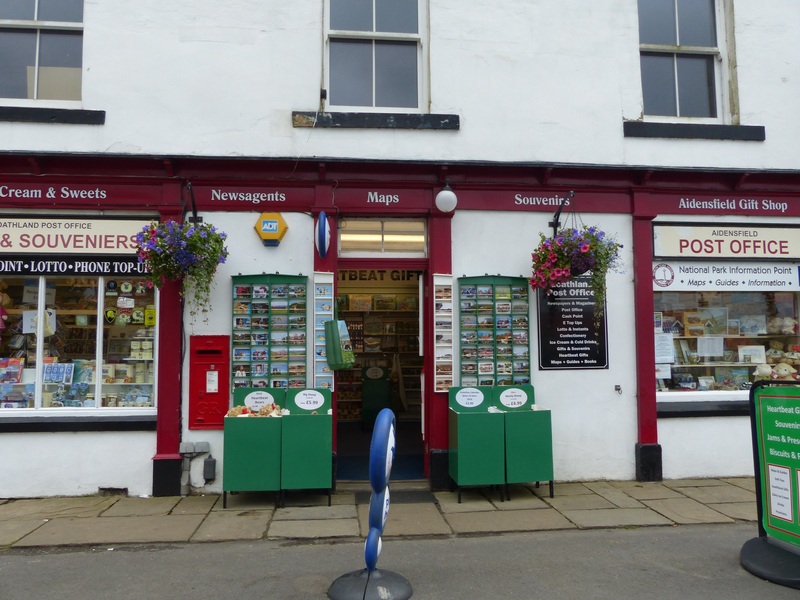 It was a picture postcard little place, with the stone houses, flower baskets hanging from walls, narrow little streets and I couldn’t help clapping my hands and saying, “This is where I belong! 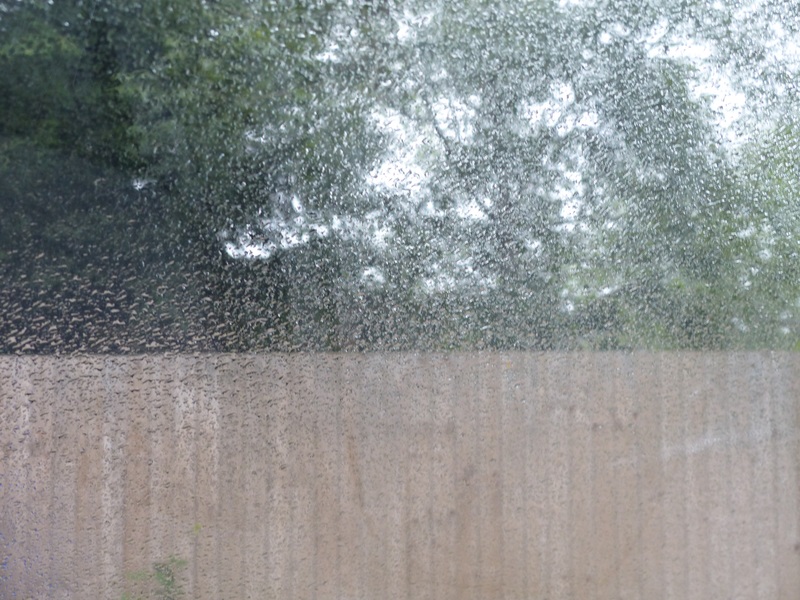 This is what I love!” Even with the grey skies and rain, it was delightful. 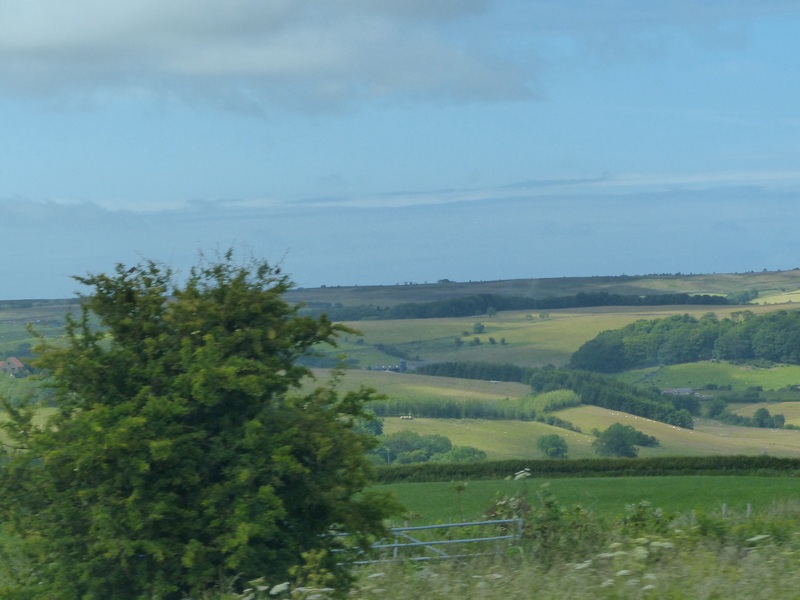 We drove through Kirkbymoorside and Aislaby and the dreamy look set in. Gorgeous! 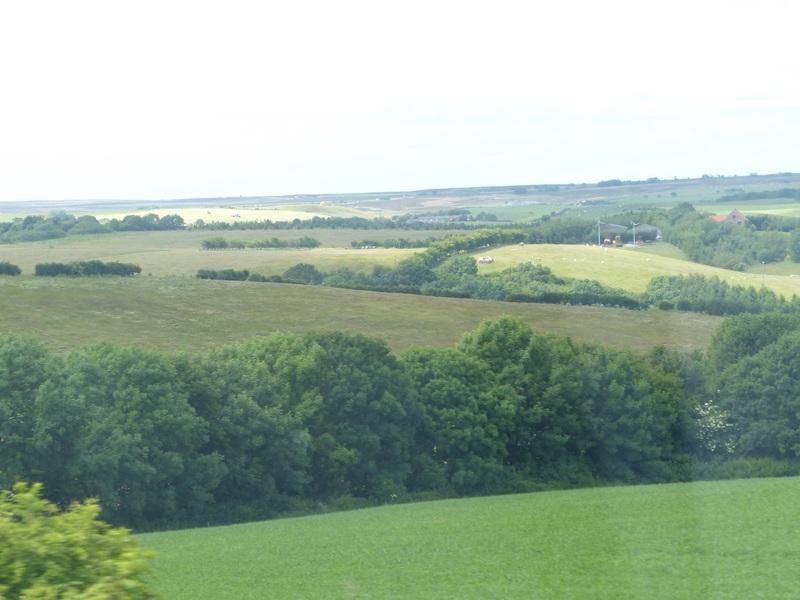 These little villages, set within the green fields and endless hedgerows and stone walls were just P for Perfect! 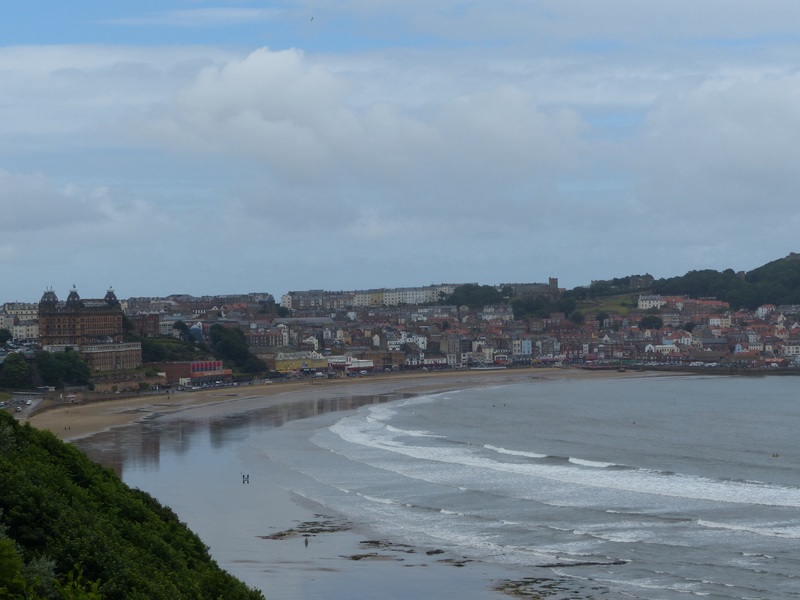 We decided we needed to see at least one seaside town to complement the rural scenes we had been viewing, so we worked our way towards Scarborough. Even though it was quite a big town, I really liked it and thought it was quite pretty. 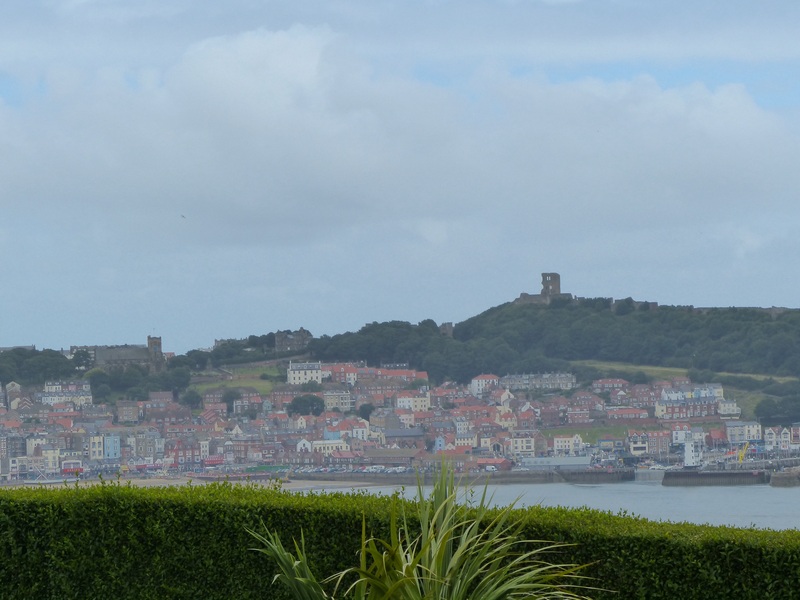 If we ignored the souvenir shops and penny arcades on the waterfront, the rest gave us views of pretty houses set against the cliffs, a castle on the hilltop and the long beach. Once again, despite it being “12 degrees, feels like 9 degrees” there were people on the beach. The wind was really blowing and it was cold, in fact Steve said, “This is one of the coldest days we’ve had anywhere and it’s the middle of summer!”, but still the brave Brits were down on the sand! I continue to applaud them! 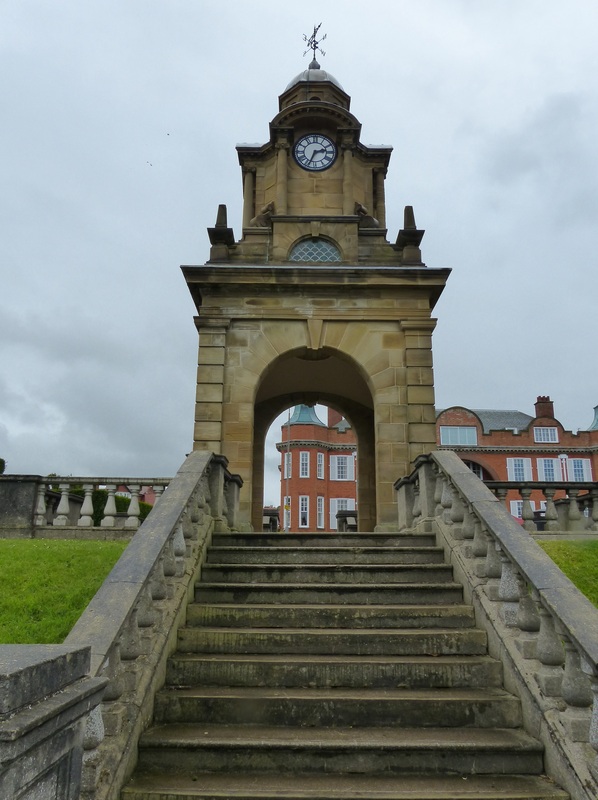 It was while we were in Scarborough and doing a bit of reading about what to see, that I discovered that the TV series The Royal, a spinoff from Heartbeat, was filmed there. 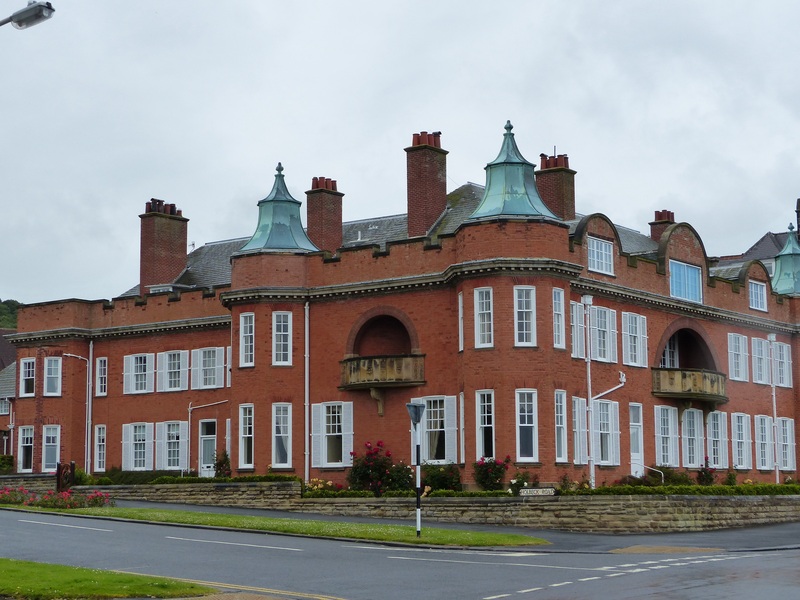 We went for a drive and found the building that was used as the hospital in the series and it looked so familiar, the building and the park across the street with the benches where so many characters and patients would sit in their pensive moments! 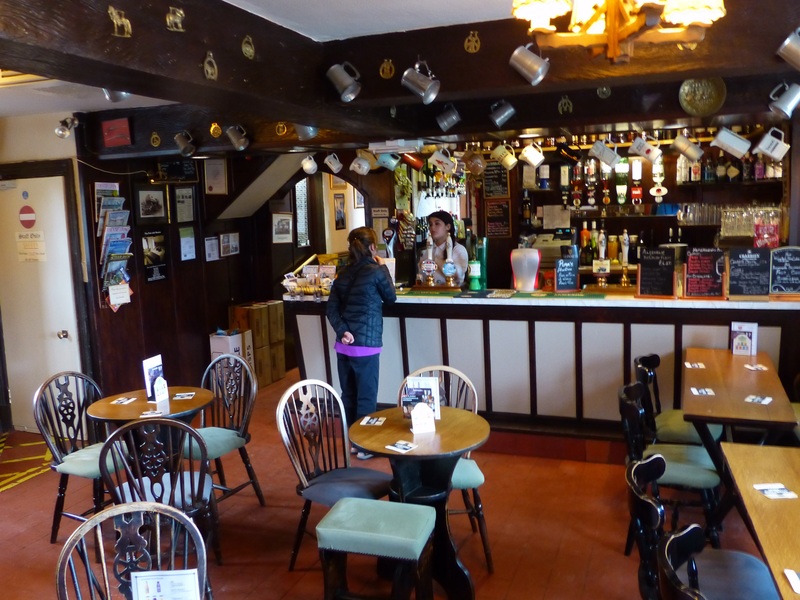 …our pitstop for the day was to spend the night in…The Aidensfield Arms, the pub from the British TV show, Heartbeat. What fun! 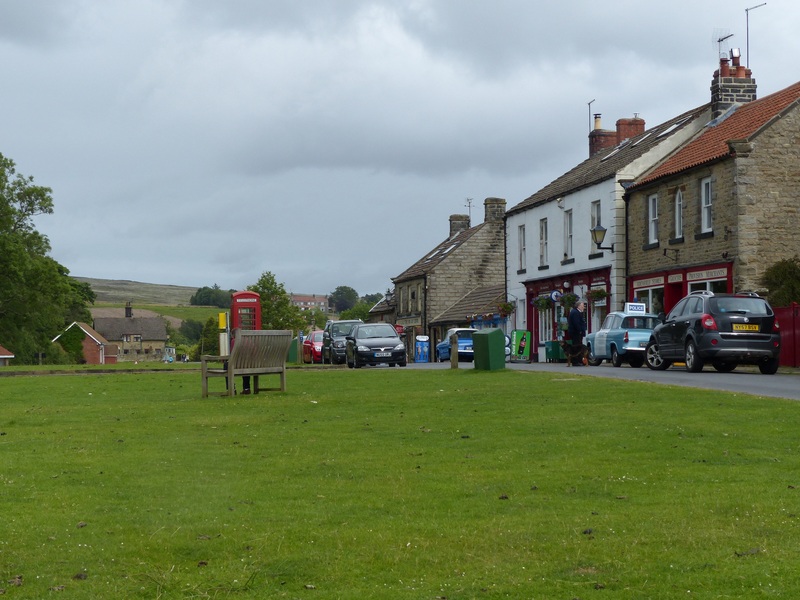 The village scenes, including the pub, Bernie Scripp’s garage, the post office, village green and village hall, were all filmed in the tiny village of Goathsland. 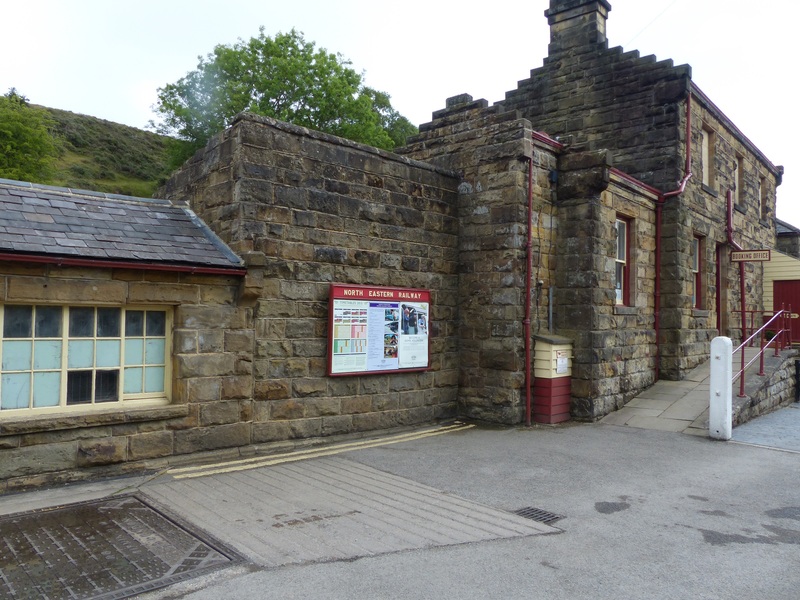 Off we went to visit “Aidensfield”! 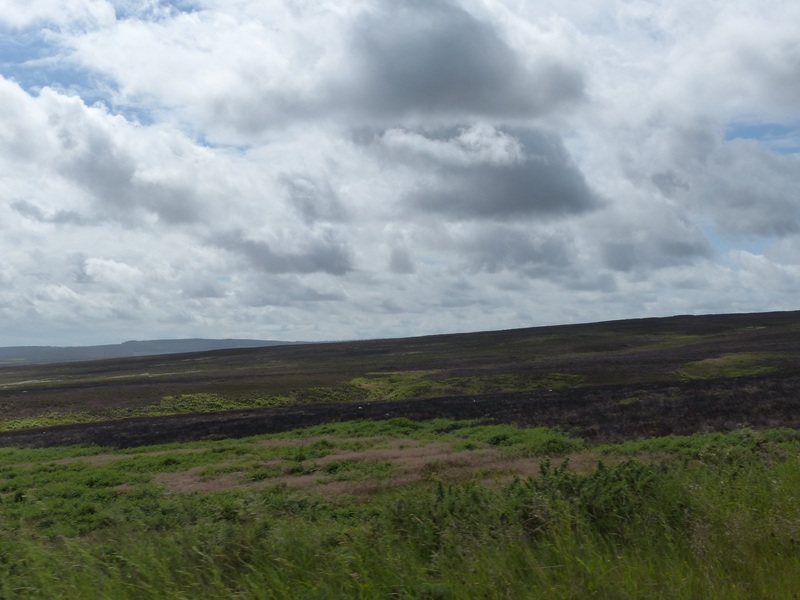 Our drive took us across the moors and that was something that had truly been on my bucket list. 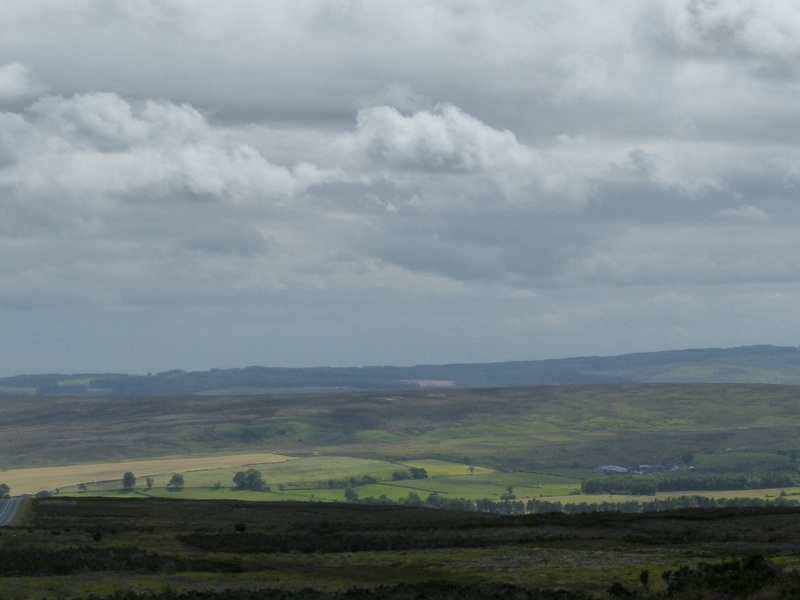 I had really wanted to see the landscape of the Yorkshire moors and as we drove along, I had some more “Wow” moments. 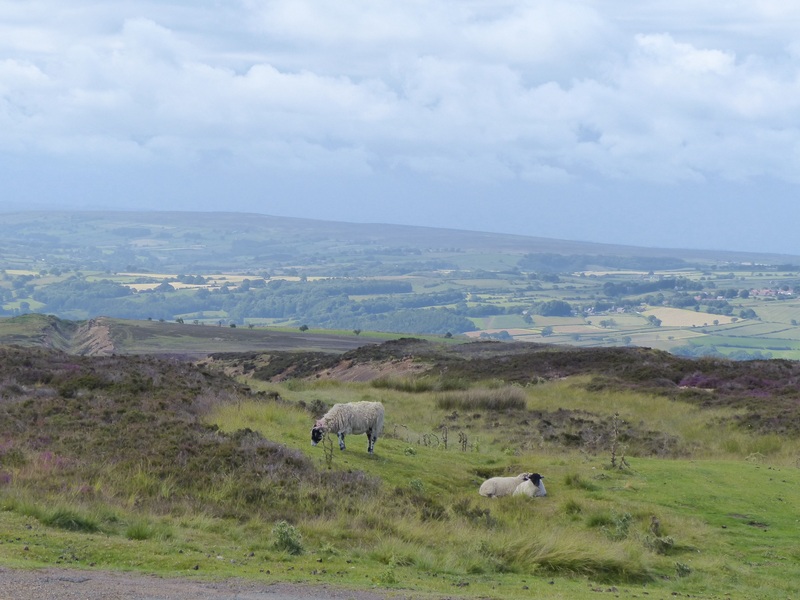 It was rugged, but beautiful scenery with a mixture of open moorland, rolling hills and patchwork fields in the distance, with sheep roaming freely. It was spectacular. 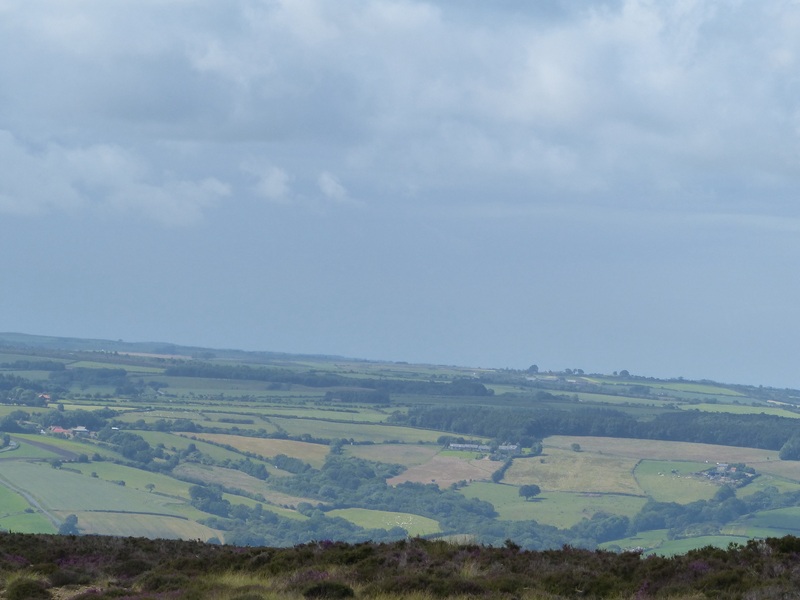 The hills across the moors were also spectacular! We drove up and down 23%, 24%, 25% gradients and we were again glad we hadn’t had to tackle them on the bikes. I saw a sign for a 33% hill! Thankfully we didn’t have to go that way because I think going down would have been more scary that going up! 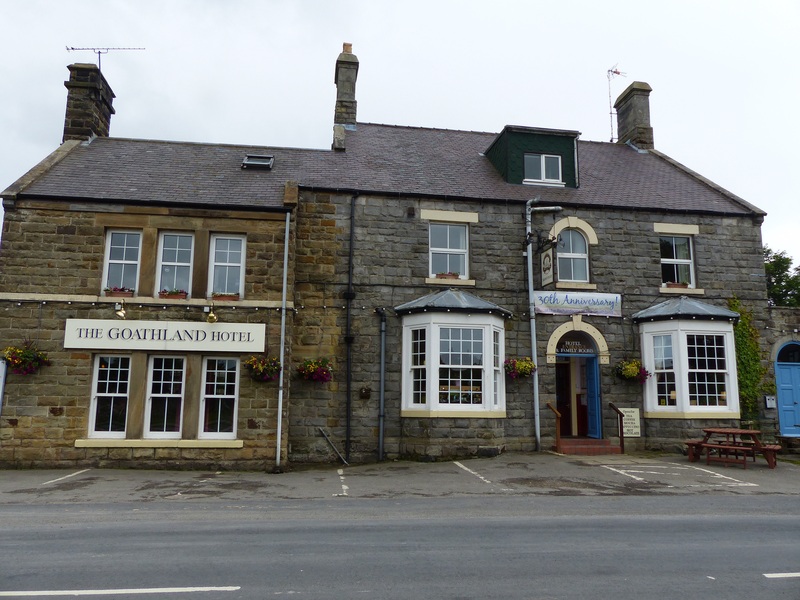 When we drove into Goathsland, it was exactly like driving into Aidensfield from Heartbeat. Exactly! 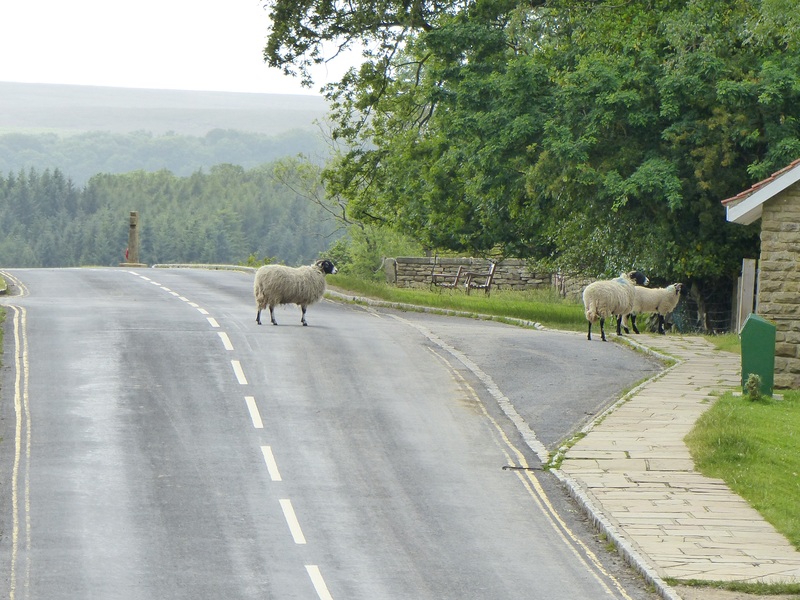 The pub was there, across the road from “Scripp’s Garage”, there were sheep wandering about the street and around the village green. It was just a charming little village that just so happened to be a TV village too. 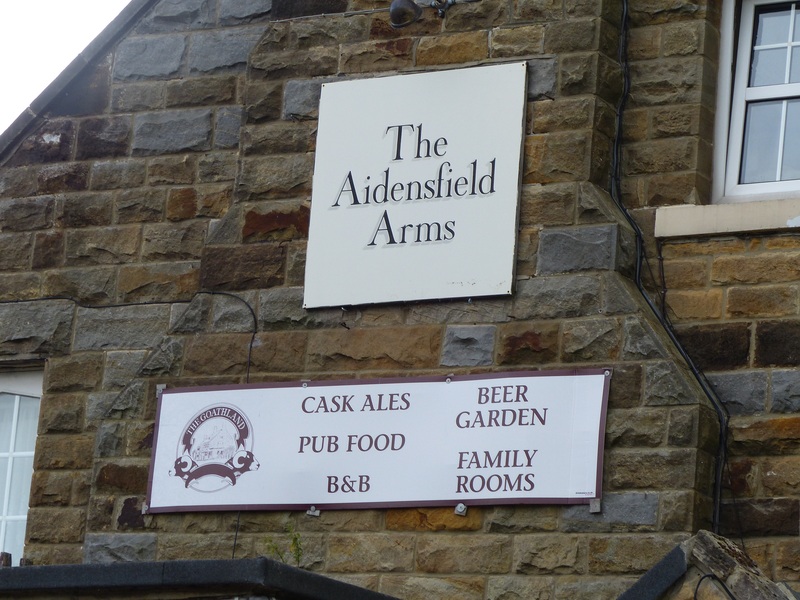 So tonight, for the treat and the experience, we are staying at the “Aidensfield Arms”. 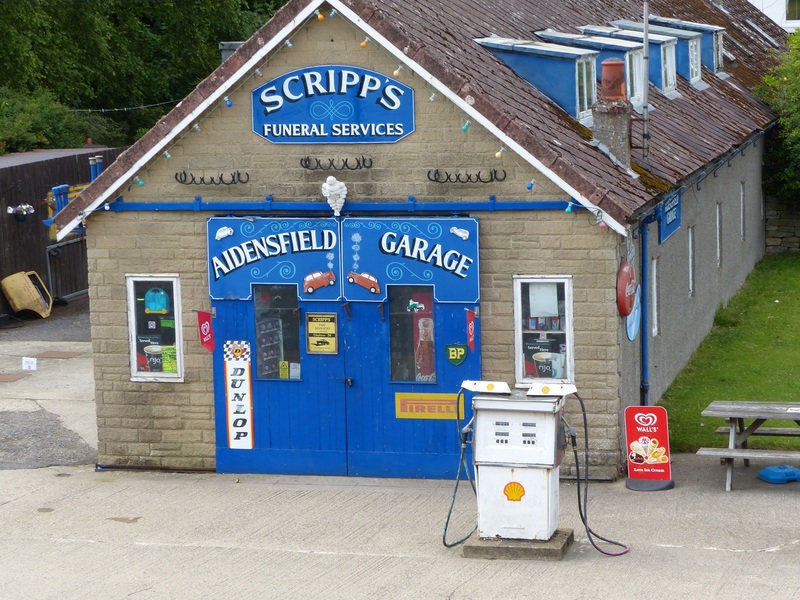 We have had dinner in the bar, the same bar where filming took place for the series and our room looks down on “Bernie Scripp’s garage”. I don’t know how they managed to film in the bar though, because it’s quite a small room, so I guess that’s the magic of film, it looked a lot bigger on screen! It’s also, like most places in this country, dog friendly, so in that small room, as well as being full of people, there were four dogs too, barking and trying to play with each other! It was all happening! The couple sitting beside us had a large and quite elderly looking Rhodesian Ridgeback, which I was able to say hello to and pat and rub her ears. She then lay down and dozed while her owners had a drink. When their meals were served, this old canine lady sprang into action though and immediately adopted the “stare down” stance, hoping for some of that steak and kidney pie to fall her way. There were three men sitting at the next table and they leaned over and fed her pieces of their steak! That old dog was stoked! Her owners didn’t mind her being fed, so she enjoyed gulping down that steak and then she redirected her attention to staring down the table of men, hoping for some more tasty morsels. It is nice to have doggie company! 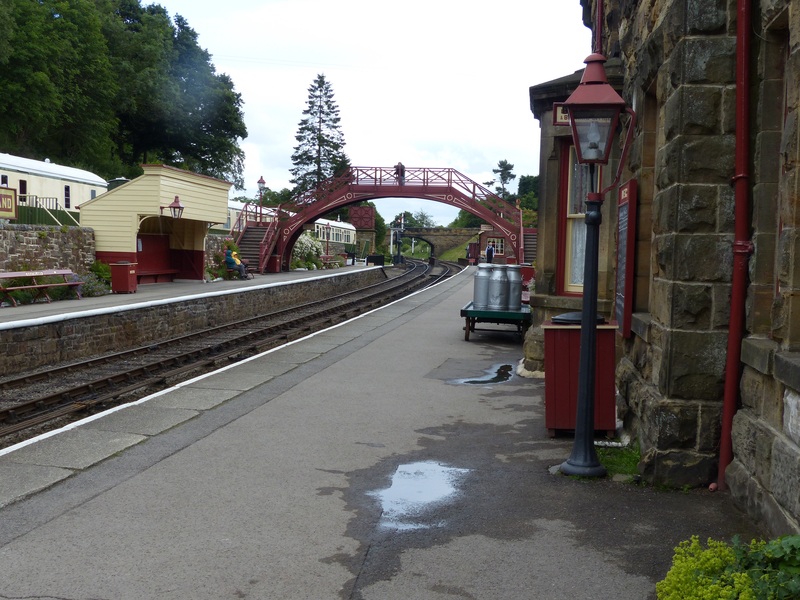 The train station – this was used in filming too. 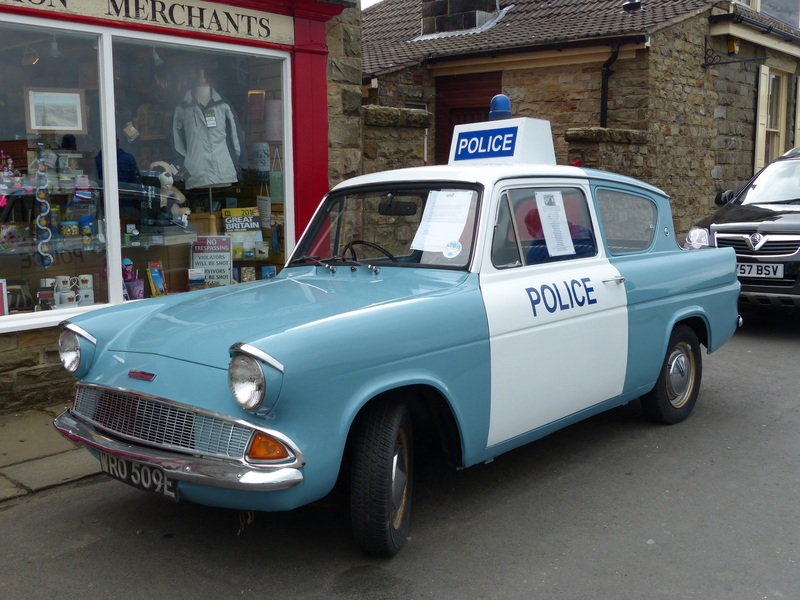 David would park his taxi here to pick up passengers! The day, as it turned out, had something of a theme! 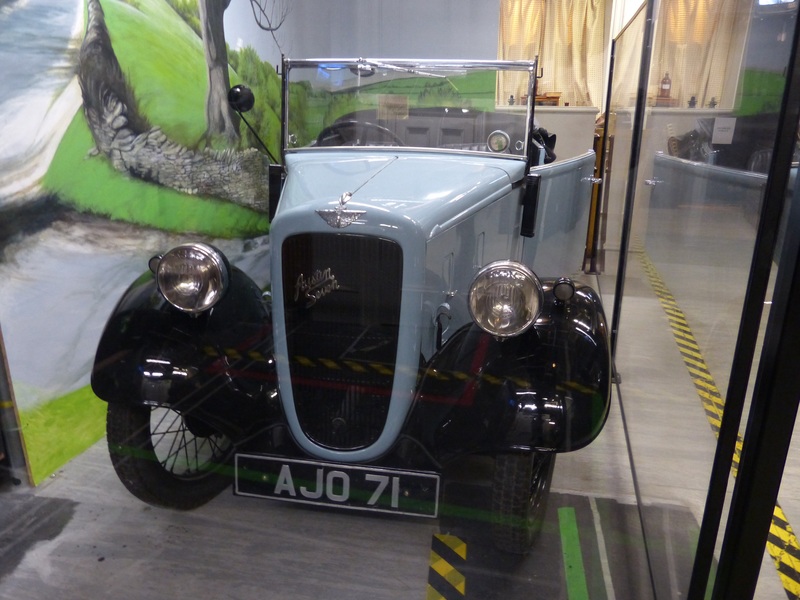 We visited the origins of some wonderful stories and subsequent TV show, with a visit to the James Herriot Museum, then discovered another TV location in Scarborough, before staying in a TV location in Goathsland. A blend of page and screen! 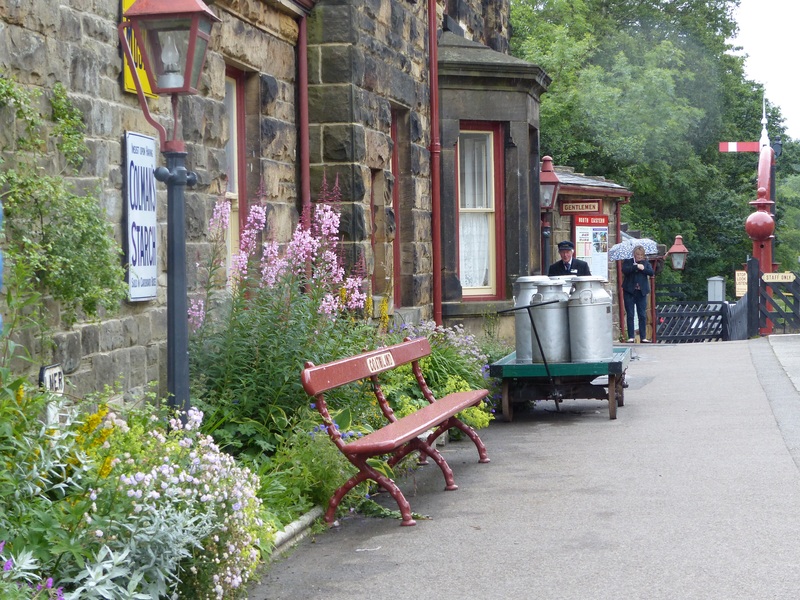 In between was the real magic though, the scenery and those gorgeous and charming little villages. 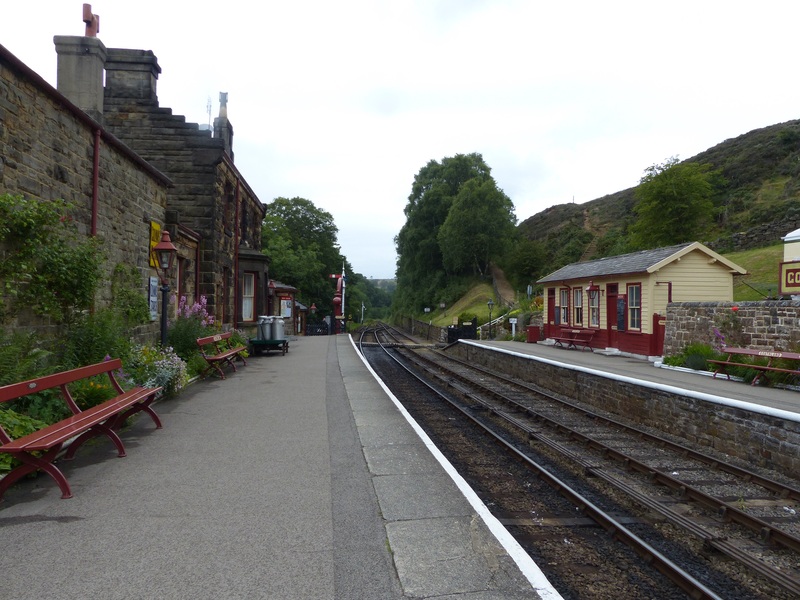 They are the real bonus for me, I just never tire of seeing those delightful little places and the stunning scenery that surrounds them. Tomorrow we head for our final destination before handing over the van and returning to our pedals again – York. Quite a few people have mentioned York to us, as a “must visit”, for its historic buildings and for the fact that it’s apparently such a beautiful place. So we’ll spend a couple of days there and then pedal off. I’m loving being back in the English countryside again, I just wish we could see it with something other than a grey colour palette! I’m also becoming even more self conscious about having my photo taken because I always look like a Telly-Tubby in my multiple layers and puffer jackets. Some pictures without bulges would be good! 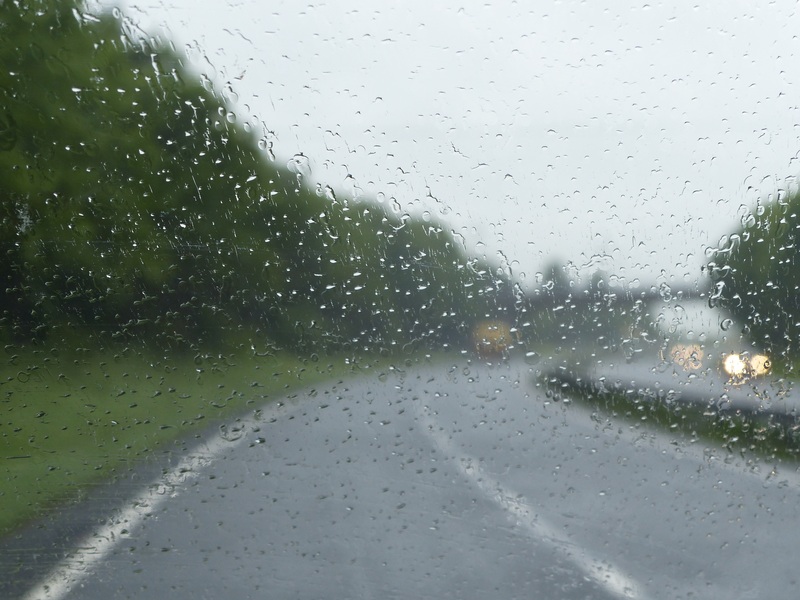 The rain and low cloud and very chilly temperatures makes everything a little more challenging. Oh well, I guess what’s life without a challenge or two…or thirty-seven! It’s still great, I still feel incredibly lucky and…you guessed it, I’m still…loving it!